EDINBURG — Hidalgo County officials took the first step Tuesday in alleviating overcrowding at the county jail by nominating the architectural firms that will submit project bids to build barracks behind the facility. 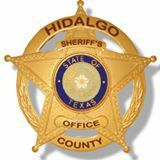 The Hidalgo County Adult Detention Center has been short on inmate bed space since it first opened in 2003, said Hidalgo County Sheriff J.E. “Eddie” Guerra, and the county has long housed its inmates in neighboring counties’ jails. But as a result of the federal government’s “zero tolerance” policy on illegal immigration, jails in Starr, Brooks and Jim Hogg counties are giving preference to federal inmates, leaving Hidalgo County with fewer options of where to send inmates it cannot accommodate, Guerra said. During its regular Tuesday meeting, Hidalgo County Commissioners Court nominated three architectural firms that will be tasked with submitting design plans and proposed costs of building temporary inmate housing on the detention center’s property. Precinct 1 Commissioner David Fuentes nominated Brownsville-based Gomez Mendez Saenz Inc.; Pct. 4 Commissioner Joseph Palacios nominated Halff Associates Inc., which has an office in McAllen; and Pct. 2 Commissioner Eduardo “Eddie” Cantu, Pct. 3 Commissioner Joe Flores and Hidalgo County Judge Ramon Garcia nominated The Warren Group Architects Inc. of McAllen. All three firms are among the county’s approved pool of architects. The commissioners court also designated the following people to serve on the evaluation committee tasked with reviewing the project bids: Yolanda Chapa, David Suarez, Armando Garza Jr., Sara Vela, Jose Casso, and Lt. David Friedlein and Cpt. Belinda Madrigal of the Hidalgo County Sheriff’s Office. Chapa is the chief administrator for the office of Hidalgo County judge; Suarez is Pct. 1 chief administrator and mayor of Weslaco; Garza is Pct. 2 chief administrator; Vela is Pct. 3 coordinator and Casso is Pct. 4 chief administrator. Commissioners have not released details about the project’s timeframe nor budget. “This is probably the fastest short-term solution that is viable to us currently other than having to send inmates out of county,” Guerra said, who added that there is space for the construction of up to six barracks behind the jail. Ideally, the sheriff would like a minimum of five barracks, which would each hold 48 minimum security inmates for a total of 240 extra beds. One of the barracks would be reserved for female inmates. Before any construction can begin, the sheriff’s office must demonstrate to the Texas Commission on Jail Standards that the barracks will solely be used as temporary housing. To do that, the county will need to present the commission with a permanent solution that addresses the lack of bed space. The Hidalgo County Adult Detention Center’s capacity is 1,232 beds, with every inmate held there assigned a bed, according to the commission’s website. Over the course of 2017, approximately 21,000 inmates were booked into the jail, with up to 360 prisoners housed outside of county at one time due to lack of beds, according to Guerra, who has called for at least 700 more beds to adequately address the county’s growing population. The jail does not house federal inmates, Guerra said. Were the county to eventually expand the size of the jail, HCSO would be able to contract with the U.S. government to accept federal inmates, which could generate revenue for the county and help cover costs of an expansion, he added.